I figure you found this site because you bought the book, or you’re thinking of getting the book. 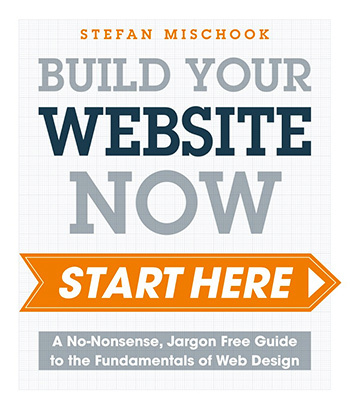 In either case, it’s clear you want to learn how to build websites. So let’s look at learning web design and development in a broader sense, what is the best approach? Do the examples in the book. As you write the code and build web pages, you will develop those ‘nerd’s eyes’ I talk about. In other words, the process of writing code and building websites, will demystify not only the process of web design, but even the concepts will all of a sudden, become much more understandable. Be patient! As you learn, you will be exposing your brain to all kinds of new ideas … new ways of thinking even. So give your brain a chance to absorb it. Be sure to drink lots of water too. Once you get something to work, break it! Yes, breaking things and re-fixing what you broke, is a great way to learn. Don’t be afraid to break your code and your websites! I’ve been training people in web design and development since 2002; these rules have proven themselves over the years. This post was written by: admin and posted on Thursday, July 16th, 2015 at 4:56 pm.